Payment Applications, Schedule of Values, Budgets and Contracts are all linked to one another. Here's how it works. 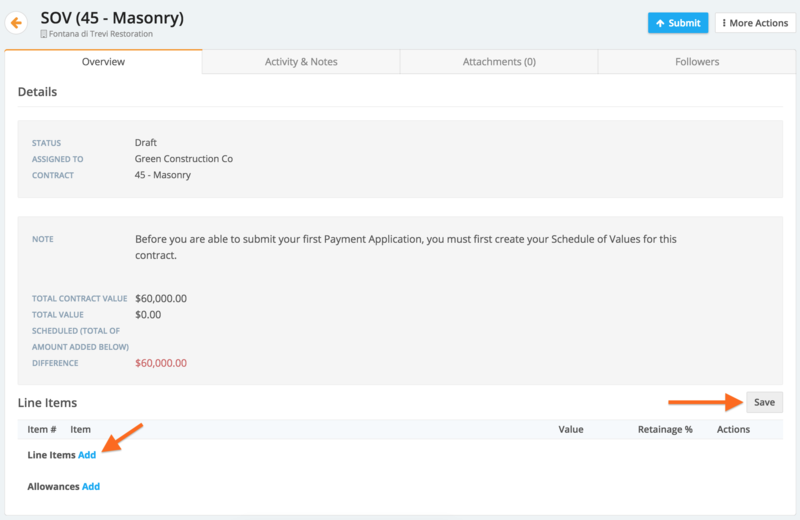 When a contract is awarded and pay apps enabled, the system will generate Pending Schedule of Values as seen below. 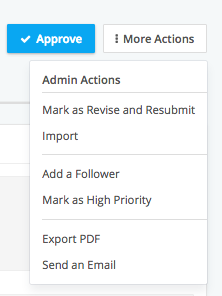 When Pending Schedule of Values are submitted and approved, it will generate a Payment Application below. 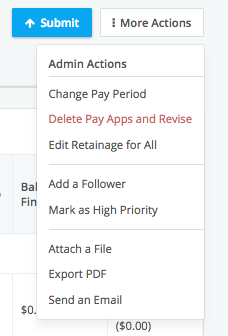 Open the Pay App to view Pending Schedule of Values and click on a contract. 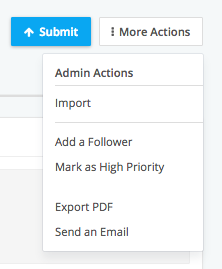 When you open Pending Schedule of Value, you must add or import Line Items to go from Pending Schedule of Values to Schedule of Values bringing the Difference to $0.00. Once all the line items have been entered correctly and you have $0 Difference between Total Contract Value and Total Value Scheduled, you can select Submit or other options available. Below is an overview of the payment application that has not yet been submitted.